FeCrAl 0Cr23Al5 has great resistance to oxidation and corrosion in sulfur based conditions. Very high service temperature and prolong life. Due to its higher electric resistivity, lower density and superior heat resistance as compare to austenitic stainless steels, it is an ideal material for a variety of industrial heating operations. Large magnitudes of chromium and aluminum enhance resistance to oxidation and contamination. Iron-Chromium-Alloy (FeCrAl) heating resistance alloys have high temperature creeping strength, good emissivity, nominal thermal expansion, small elastic modulus and excellent resistance to scaling and thermal shock. Moreover, good strength and ductile nature at the formation temperatures. Industrial infrared heaters, radiators, coils for air heaters, furnace parts, space heating, fiber shielding material in ceramic glass top temperature, ceramic elements for panel heaters, heating plates, cartridge heaters, hair dryers, mica elements for irons, heating wires or cables. FeCrAl resistance heating materials are employed in the various applications from household devices to heavy industrial process heating equipments and furnaces. 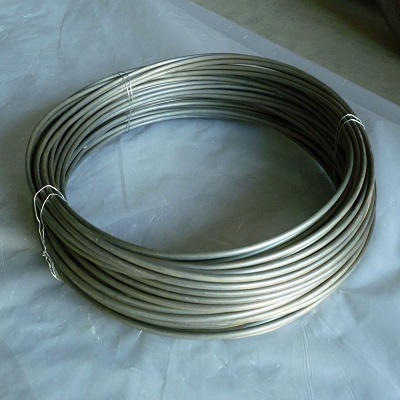 In the industrial heating operations, these are used as open heating coils of resistance wire installed with ceramic bushing in a metal frame or metal sheath elements that are made of helical coil of resistance wire. Normally, heating materials perform at the extremely high temperatures up to 1300oC in the metal processing industrial furnaces. Heanjia Super Metals, America offers all above forms of FeCrAl Electric Resistance Heating alloy in all standard as well as custom specifications.